Miss Trouble Maker wins the 3YO Fillies Maiden Plate at Seymour, 27/3/19 (Racing Photos). From the first-ever crop of foals born and raised on the Kerrie Valley property in the heart of the Macedon Ranges, the statistics from Spendthrift Australia are a positive sign of things to come. With eleven horses foaled, nine have made it to the track, and five have won, including the stakes-placed Mark The Horse. A son of Warrior’s Reward, Mark The Horse gallantly placed in a competitive Stutt Stakes field at the Valley last September for trainer Michelle Payne. While last week alone, we saw three of those winners in Miss Trouble Maker at Seymour, Born Bad at Pakenham and Rising The Moon in New Zealand. Spendthrift Australia’s Garry Cuddy is optimistic about the direction of the farm and the quality gallopers the Spendthrift stallions are producing. 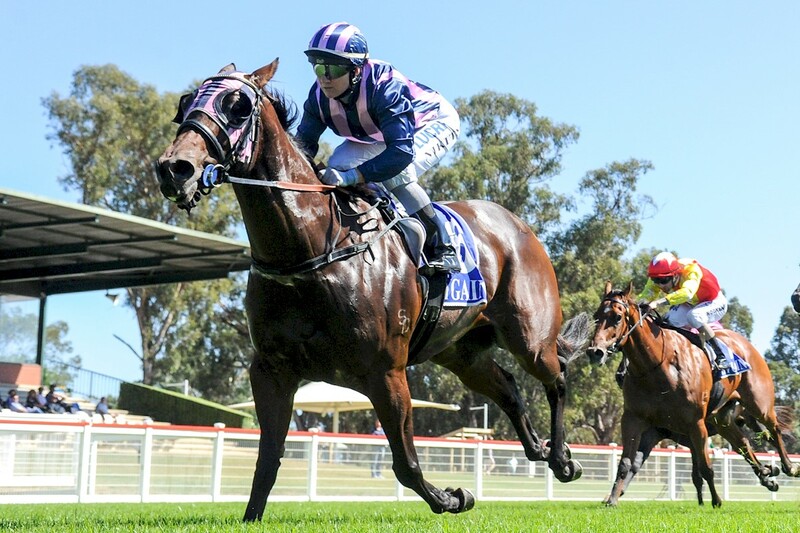 “An extra special mention needs to go to Veterinary surgeon David Railton from Avenel Equine Hospital for his expert care with Miss Trouble Maker as a yearling and trainer Charlotte Littlefield, who has done a wonderful patient job so far. She won impressively last week, will take improvement from the run and we will be keen to see where she heads to next,” Cuddy said.